At 7.00 on Sunday night (30th December 2018), the final, united, commercial radio chart with Marvin Humes faded away; and commercial groups prepared to plough their own Sunday night programming furrow. Whilst the Big Top 40 continues on Global stations, now with the great Will Manning; Bauer will have its own show; and the Wireless Group grow their Total Access property to a Top 40 offering with Olivia Jones. It’s the end of an era – and a decision one can thoroughly understand in the climate and structure of today’s commercial radio world. But it’s also a chance to salute the architects of the animal which has served commercial radio superbly for generations. 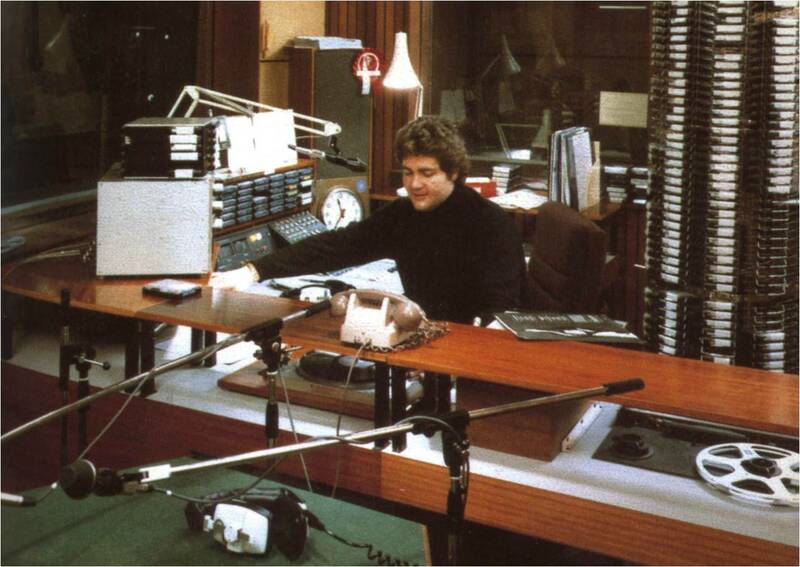 Sunday nights on BBC radio through to the 1980s had become an impenetrable tradition. Although you knew which artist was up and which was down - given the chart itself was published during the week - Sunday was the chance to hear all the songs one after the other in their entirety. What’s more, the show was aired on AM and FM, as Radio 1 stole Radio 2’s FM transmitters for the weekly appointment. UK listeners slotted in their C120 cassettes so they could later ‘listen on demand’. We radio freaks recorded the shows just to hear the JAM jingles in stereo - and marvel at the art of the countdown delivery from the likes of Tom, Simon, Tommy, Bruno, Mark and Tony. Meanwhile, commercial radio trotted out a host of distinctive Sunday evening programme offerings. As was the case with commercial radio generally, some of those offerings were superb, and some decidedly less so. They most certainly offered listener choice. Some stations had created their own chart shows, others eschewed the tactic. I fondly recall Trent’s first home-grown-chart which briefly adopted the novel approach of starting at Number One and working up to the least-selling song. Then in September 1984, commercial radio came together for ‘the Network Chart’. Politically, getting all stations, back then owned by a multitude of colourful companies, to agree on carrying a single programme was a coup, pulled off by the then Association of Independent Radio Contractors (AIRC) – the trade body for 'Independent Local Radio' stations, the equivalent of which now is Radiocentre. 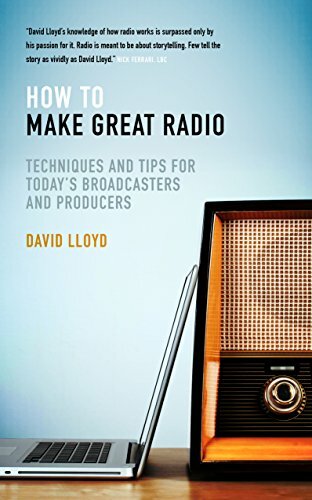 Growing audiences and commercial radio stature was an aim, but also this was principally about creating a huge property which commercial radio could sell to significant national brands who would only trouble with radio if it offered real scale. Commercial radio had achieved just a 2% share of all UK advertising and a catalyst was needed to kickstart growth. There were technical hurdles in those pre-satellite days; and the option chosen for dissemination to stations was an IRN news distribution line. As was the case with the national ads at that stage fed to stations in the same way, this was mono. It didn’t sound great – but most listeners on their trannies didn’t care too much – and an appreciable proportion were still listening on AM anyway. At the outset, the programme was superbly hosted by Kid Jensen, who offered a fresh enthusiastic approach and a slightly less functional tactic than the BBC’s established fine option. It had energy and presence. And, for a time the commercial chart was more up to date than the BBC chart. It also included an element of airplay stats. In terms of revenue, sponsorship was not quite possible at the outset. At that stage, the regulations did not quite allow such sullying of our airwaves. The regulator did, however, allow a clever loophole: 'co-funding'. Within strict parameters, you could credit the funder of a show – but the show itself could not be defined by the funder, nor was any commercially-inspired funding allowed within. Thus, after a brief foray with a De Beers Jewellers relationship, Nescafe came on board. 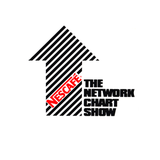 The show became the pithy ‘Network Chart brought to you in association with Nescafe’. Kid put his life and soul into the programme, and those of us around at the time recall him journeying tirelessly around the country to help boost the show’s profile, armed with the sort of merchandising that few local stations could afford, proper sweat shirts, T shirts and the list went on. This was the big time. Although those of us on the local stations worried a little about having our local hours snatched, we quite liked mixing with this huge Radio 1 and Luxembourg presenter. And we liked the free sweat shirts. The show’s personality changed too, with Neil, at first, injecting more star-laden talk content to the show, setting it further aside from the BBC offering, which in turn evolved too. The reveal day of the BBC chart moved in 1987 too from Tuesdays to Sundays, with Bruno Brookes. There were interruptions along the way as radio groups ran off with their mistresses. The Smash Hits chart replaced the network chart for a period on EMAP (now Bauer) stations. And the A list and the Fresh 40 approach was a brief attempt to separate by format, so that the huge newer adult contemporary stations could enjoy hours of 'chart' music which better fitted their formats. Each time, however, the stations eventually returned to the family - with the single all-format, all station offering which we recognise until last Sunday. Commercial radio audiences had grown, to the extent that the BBC’s Sunday night lead was utterly extinguished. 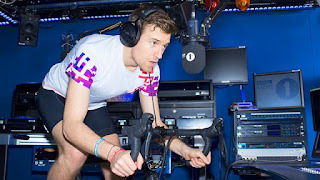 In July 2015, the BBC countdown moved to Friday nights with Greg James. By that stage, Radio 1's audience reach on Sunday at 18.00 was 492,000 - commercial radio's reach was 2.3m. Now, commercial radio groups announce they are going their own way rather than share the same chart. In some ways, the chart mechanic itself has lost some of its stature. No longer are record shops phoned to establish sales stats - leading to some breathless weekly on-air announcement of real note - the climax has thus evaporated to some extent. With streaming now a key element, data is real-time. It's right that the great British Sunday tradition of chart shows should take the next step. But most importantly, the structure of commercial radio is such now that it can do what the chart did - all the time. From the days when the chart was the only significant cohesive music property commercial radio could sell to client brands, the large groups now each have their own properties of scale. They would likely prefer to put their efforts into producing and selling those rather than boost their rivals. It also means that each group can engineer its own programming to suit its own formats. And - as the medium gets ever more competitive - it's been complex deciding which stations can carry the chart - and it's certainly felt odd enthusing about a presenter who's on your station on a Sunday - but on your rival during the week. Listeners will have more choice. In a sense, the chart proved the point. Scale is everything, if commercial radio is to be seen as an increasingly serious advertising medium. Now, at last, commercial radio can deliver scale across the board - with the cohesive and polished major brands it has painfully assembled after 45 complex years. Good luck. Farewell, Network Chart - and all who sailed in her. As 2018 draws to a clement close, which #radiomoments were the most memorable for you? The unprecedented level of change looming in UK breakfast radio is set against a backdrop of a relatively new breakfast show on Radio 1 which launched on 20th August 2018. The first show had an immediate presence. Greg's first words, where he spoke of the privilege of hosting the programme, chimed with many of us. We heard the lad from student radio with wireless in his blood who had quietly and quickly risen to do something remarkable of which he’d only dared to dream. The programme’s already settled into being an original, natural, well-produced animal which should serve the station proud in the challenge it faces. The Chris Evans Radio 2 farewell on Christmas Eve is a deserving late entry into 2018’s finest #radiomoments. The programme overall boasted the presence which Evans shows always display – but a heightened sense of occasion. He employed all the tricks in the radio book – tears, kids, stars and wives. The tearful ‘goodbye’ moment was cannily-timed a little earlier than the final link, offering journalists an opportunity to write about it promptly - Chris has always been the perfect PR machine. Its scheduling then allowed Chris then to get on with enjoying the final moments. Chris’s broadcasting secret was evident throughout in the valedictory show – chatting as if your best mate, but a best mate who happens to have Nicole Kidman popping round. His goodbye announcement was clearly well thought-through – and a lesson to complacent presenters everywhere. Even Chris Evans thinks about how he’s going to handle critical moments. Eddie Mair has been radio’s quiet titan for years. 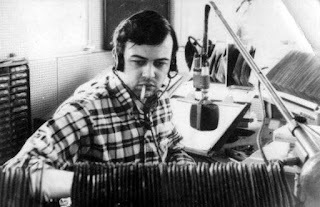 Although he presented Radio 4’s PM programme almost daily, displaying his skills as the cleverest of operators with his trademark iterative interrogation and gifted teasing, he has never sought the headlines afforded to many lesser mortals. His departure from the BBC said something of the Corporation's challenges, with its public salary announcements, the way it understands and treats its talent and the general frustrating complexity typical of big organisations. It also said something of the new might of commercial radio, now able to offer a platform for the greats. His last programme was claimed to be an accidental one. Sort of: That sounded like a decent way to end so let’s not come in tomorrow’. Eddie’s new LBC show has moved quickly from a confident and enjoyable first edition to a really enjoyable and distinctive offering. 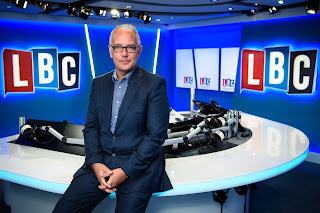 Eddie’s arrival at LBC displaced Iain Dale who moved to later on the schedule. Iain has led a varied and rich life in politics, publishing and pushing over protesting pensioners on the prom, but the loving relationship he has quickly forged with radio was evident in his goodbye from his drive slot. Although he was only moving down the road, he waved farewell to his neighbours with tears in his eyes. Noel Edmonds was the second ever breakfast presenter on BBC Radio 1. Since then, he’s enjoyed TV success owing to Mr. Blobby, ‘Deal or No Deal’ and ‘I’m a Celebrity’. Noel was Stephen Nolan’s guest on 5 Live in February 2018, telling of the dark place he was in when he lost his business amidst banking scandal. Nolan called on all his trademark tactics to create the space for some riveting radio from the mouth of this complex figure. Whilst Global Radio strategies are clear and swift, Bauer is a little more cautious. The German-owned company owns some excellently-operated national brands,but sticks largely to a more traditional model for the majority of its stations in their localised patches. This year however, it created a new national CHR brand across the UK in Hits Radio. Maybe creating virtue from necessity and economy, the new brand was based in Manchester, squatting on the FM frequency formerly owned by Key. Its opening moments were well-produced; and we wait to hear how the strategy fares nationally in 2019 against unprecedented competition. Back home in Manchester though, as Key 103, the station reflected fittingly the first anniversary of the Manchester Arena bombing. 2018 saw a farewell from one of commercial radio's nationally known names. 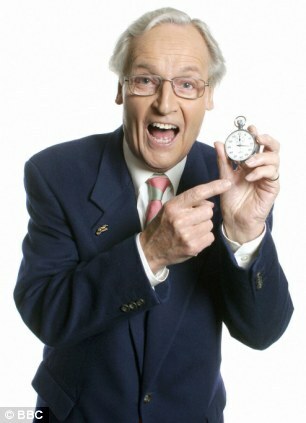 Christian O’Connell bravely chose to leave UK national radio in favour of a career in Australia. After 12 years on the Virgin/Absolute breakfast show, he announced his goodbye from One Golden Square. Dave Berry took over, making a typically impressive start as befits the man. Christian's debut programme on Gold 104.3 in Melbourne showed his trademark determination to succeed; and the announcement of some audience success subsequently was clearly a welcome relief. We’re losing the greats one by one. Australian-born Ed Doolan was hugely-respected broadcaster in the West Midlands. After wrestling with vascular dementia, he passed away on 16th January 2018. The nature and volume of tributes after his passing said something of his stature. From Caroline Martin on BBC WM itself to Eddie Mair on BBC Radio 4 – and fellow broadcaster Les Ross on BBC 1 TV in the Midlands. Greg James merits further mention in dispatches for 'Pedal to the Peaks'. In the 21st Century, radio’s stunts have given way to authenticity. On-air, listeners heard their mate Greg try something amazing, with all the ups and downs, gasps of amazement and tears of disappointment that real life brings. Authenticity is key on radio these days, with presenters opening up like never before, once the listener bond has been built. Richard Bacon very nearly did not survive 2018, and appeared on his first love medium of radio to explain why. Greg’s 'pass the pasty' challenge on Radio 1 was also radio at its best. After hearing that a listener from Aberdeenshire had never eaten a Cornish pasty, the presenter took it upon himself to get one to her, by passing it like an Olympic torch along the 675 mile journey. 2018 has been Greg James’s year. On the breakfast changes, ‘who will take-over at Radio 2?’ became the battle of the women as Zoe Ball and Sara Cox were tipped for the Wogan House crown. The debate culminated in the big announcement on the Chris Evans show in October. Without doubt, 2018, a hundred years on from suffrage, has been the year when women broke through barriers in UK radio, in the numbers of women on-air, the stature of their appointment and the money they are paid. Carrie Grace made her stand in January. Whilst us middle-aged white blokes need to accept that this has all been far too long coming and the re-alignment may cause a few male noses to be put out of joint in the short term, few people agree that the short-lived Radio 2 drive show with Mayo and Whiley was a canny programming decision - and both of those talented professionals likely agree. The final edition was aired on 20th December 2018 , before Simon himself waved farewell the following day. We await his 'startling' news in 2019. 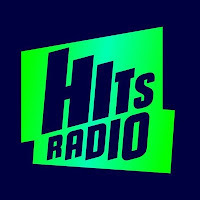 Digital radio smashed the 50% listening figure in 2018. Debate now begins on when the debate proper will begin on whether and how to switch-over from FM to DAB. There's going to be no rush, but it's clear that now, just as with FM by the '80s, digital platforms are so commonplace that broadcasters can make maximum use of both FM and DAB, with unprecedented choice for listeners. We look forward to DAB-only stations making some money. 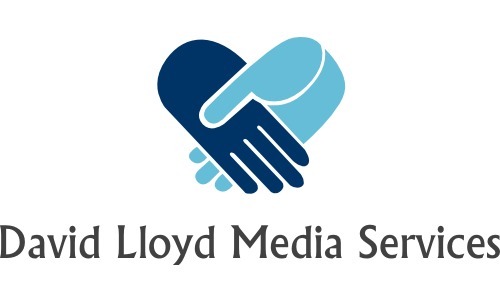 As the audiences to digital stations grow, so does the content. After some live moments on special occasions, BBC Radio 4 Extra went live properly for the first time on Saturday 8th September 2018. Jake Yapp hosted the programme, with superb intervention from Kathy Clugston, more usually heard on continuity announcer or newsreader duties. As can be heard, she rather enjoyed herself. Dale Winton's sudden death was major news in 2018. For those of us who worked with him, it came as a great blow, yet it was worryingly less of a surprise than it might have been. Dale and drama were always hand in glove. Dale was never going to be one to while away his final toothless days drinking lukewarm tea from grotty green mugs in a nursing home. In this special edition of my Conversations series, drawing on archive audio, hear Dale tell of his life and fears. BBC Radio Shropshire presenter Vicki Archer died suddenly at the age of 41 in August 2018. A finding of suicide was recorded by the Coroner. Here, you can hear a segment of her bubbly on-air performance in her final show, before the news was announced the following day by Eric Smith. Her co-host Adam Green also pays his tribute. Vicki worked at The Pulse, Century FM and on the Magic network. She had hosted the afternoon show on BBC Radio Shropshire since 2010. Social media tributes afterwards from colleagues through her on-air years illustrated her popularity. 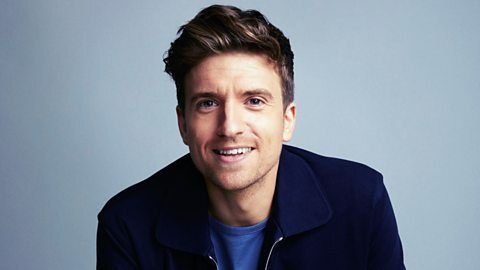 BBC and commercial radio stations around the UK united on 15th May 2018 to broadcast a one-minute message about mental health. 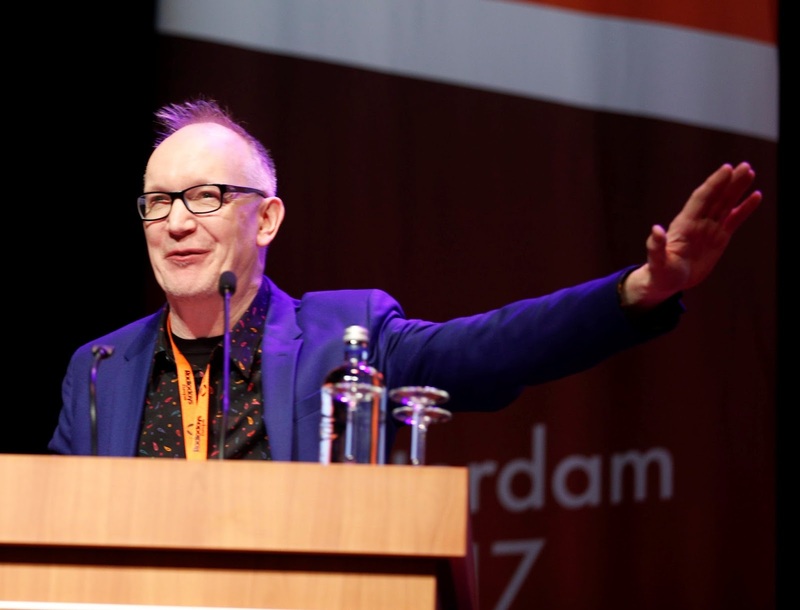 The historic 'Mental Health Minute' featured globally-famous voices. With over 300 stations taking part, broadcasting to one of radio’s biggest collective audiences with an average listenership of 20 million, the initiative was led by Radiocentre and The Radio Academy, with content created skilfully by Somethin’ Else. Radio needs to do more of this united work - both in the name of worthy causes and otherwise. Our medium deserves more acclaim than it ever receives and we need to do more to raise its profile and prove our engagement, contemporary power and relevance. Back on mental health specifically, in recent days, Iain Lee's call on TalkRADIO from a Plymouth man lying in the street after taking an overdose was proof again that people's relationship with their radio and its presenters is like that of no other medium. 2018 saw the fortieth anniversary of the major frequency changes, with BBC stations all shunting about - and commercial stations moving just a KHz or so in line with the new international frequency agreements. A generation recalls receiving stickers through letterboxes to help us. We were easily amused in those days. 1978 also saw the birth of Radio Scotland and Radio Wales proper - and it was good to hear Anita Morgan, who'd hosted the first show on the latter, return to join in with the breakfast show forty years on. With platforms equalising, both BBC and commercial radio can now battle for the best programming and the biggest names. Headlines will continue to be made and innovation and positive disruption will be evident. News UK will certainly flex its Virgin muscles. Commercial radio has a new confidence and is emerging from a positive financial year, re-gaining its title as the fastest-growing ad medium. The BBC will face new market pressures and must make its talent on and off-air feel loved and supported. It will need to be well-led to cope with this task - and, in other news, it must do ever more to explain to its audiences what 'due impartiality' is and how it - genuinely - tries to achieve that. In good hands, the BBC's reputation in news here and around the World will continue to be rightly recognised. The BBC will also need to be more efficiently run. That means less and better management. And thus, as most BBC staff will tell you, those lower costs will generate better radio, not worse. With the 1970s legacy rules swept aside at last by Ofcom, commercial radio will be equipped to do what it feels is best for its audiences and, therefore, clients. Stations which may not have been sustainable in a changing world will have new resilience and fresh options. As podcasting, streaming and audio on demand continues to grow quickly, from its current low base, our medium will be further invigorated. As I've said before, it's really all 'radio'. Voice control, currently responsible for but a fraction of listening, will grow too - and here again it's about recall of the biggest brands and performers. Unless the gatekeepers themselves wade in with quality offerings. 114 years on from the first ever radio 'programme' - comprising piano playing and bible readings beamed to a few lonely ships at sea - there has never been a more exciting time for this wonderful medium. Whatever the future holds, people will still have two ears and will look to occupy them. In desolate tinselled offices, hard-working programmers wear their silly hats and ‘don’t disturb me’ faces. Not only do they have to look after tomorrow on the radio, they have to plan ahead the whole festive fortnight with military precision. Atypical presenters are set to host atypical programmes between atypical news bulletins coming from atypical places. What could possibly go wrong? And will there be anyone around to help when it does? Probably not. Is the 1500 on Boxing Day a network bulletin or is it local? Does Johnny Whatnot know how to put himself on-air and take the service out of network? Has he got a zapper to get him in the car park? Will they need more songs in each breakfast hour, given you’ve only half a double act. Whose bright idea was it to have a day of songs beginning with B on Boxing Day? Cheers for that. All that bloody effort at a time of year when you’re unlikely to hit peak audiences anyway. And what about all those millions getting a smart speaker as a gift. Will they really know what to do to hear us on Christmas morning? And will Sally remember to turn off her location when she tweets on the station account from Gran Canaria over Christmas? For the big groups these days, it's like planning a moon mission. Canny managers have it all thought through by October - with, fittingly, a bible published of all the things presenters might need to know. Not that anyone will trouble to read it. On commercial stations, are the ad breaks full or half-empty? And, are they balanced across all the transmitters in the hours when they don’t usually need to be? Is the ad with the 'Open until ten, Christmas Eve' line set to die at 2200 on 24th? And is the breakfast sponsor credit changed for that awkward client who's booked from January 1st? And what about the skyscraper on the website we gave them last time we messed up? Are we bothering updating that? Meanwhile, life starts to get a little quieter for the sales execs. 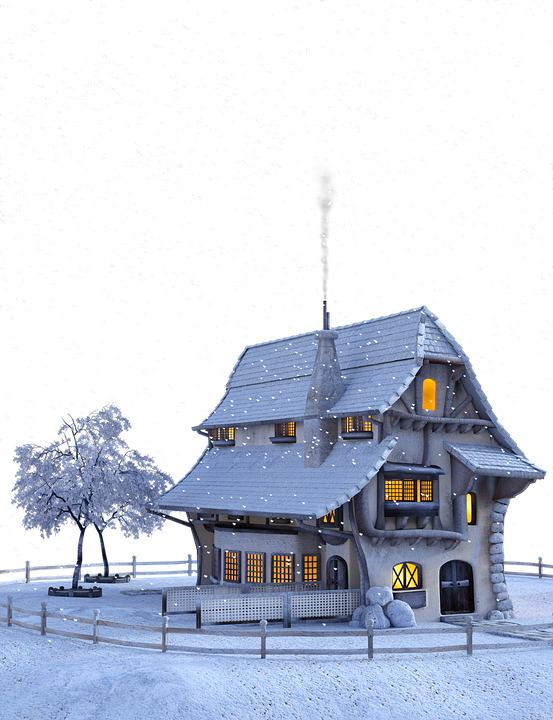 After a frantic flurry seeing off December’s targets and making a good start on January, their self-made clients have disappeared to their overseas holiday homes. In the radio sales office, it’s time for banter, decanter and Secret Santa. But whilst office staff have begun to wind down and their inboxes atrophy, the opposite is true for the product team. 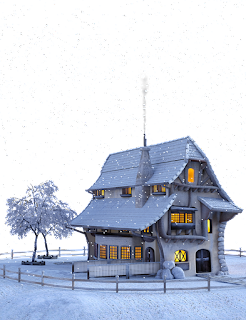 Hot on the heels of incessant and exhausting Christmas light switch-ons, carol services and firework displays on cold dark days, the work starts on ensuring that the festive period on-air will be entertaining and trouble free. Everything needs mulling over. You really want to avoid the call from the Christmas lunchtime presenter, just as you’re microwaving the bread sauce, asking which fader network news is on. You certainly need to know who’s staying nearby when you get the inevitable Boxing Day call from a hoarse presenter who claims to be ill. You try to sound sympathetic and tolerant, as you face the prospect of ringing everyone on your emergency list, but you don’t quite pull it off. Newsrooms are busy trying to invent the news in advance for the lonely reporters who'll be on duty between Christmas and New Year. The bulletins will have returned, but the news won't. Are we taking 'the Queen' or not? And where do we find her? And lets hope no popular public figure takes their last breath. Why do they wait for this week to die, of all weeks? Where are the football matches this year? Lo, the grounds where there are all sorts of issues. When are they? Ah, Boxing Day. Some of the rituals of Christmas on the radio have sadly faded away. Remember opening reception to give away batteries on Christmas morning? What a great bit of Ever Ready marketing that used to be, in the days before sponsorship on radio was allowed. I shall not miss recording the Christmas Eve Lincoln Cathedral Carol Service for Lincs FM. I’m not sure whether it’s a sign of dedication that I, as PD, had to sort it out, or just poor delegation. I’d record it on the Revox, then help lug the equipment back to base and edit out the verses no-one knows from the carols. The tape would then be left on the desk with a accompanying note which the tech-op would, for some reason, make it his business to merrily ignore. Having said that, typing cues at nearly midnight when all civilised folk are making merry with family and friends is still the sort of sacrifice many radio folk have to make. Sadly, Christmas is now without Ed Stewart. For me, his jolly voice just smelt like Christmas. 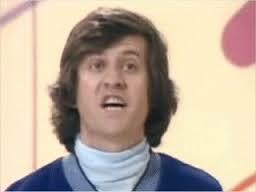 For decades, he told us he was flying out his BBC ‘magic carpet’ on Christmas morning to visit hospitals around the UK, bringing cheery messages to patients. As a kid, I used to believe he genuinely had a magic carpet. No wonder I wanted to work in radio. 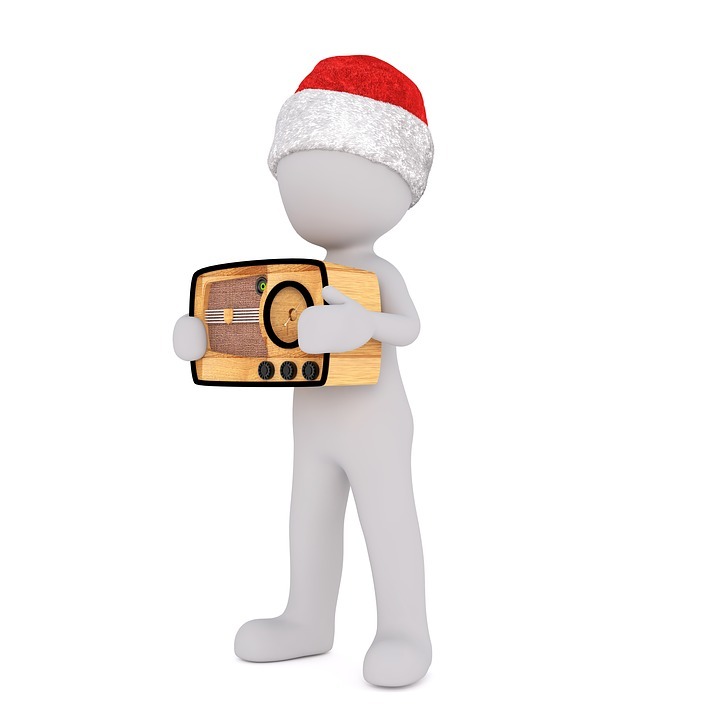 If you're on air this Christmas, make sure you sound as though you want to be there. It's a privilege. So. Let’s raise a glass to the dedicated programmers, presenters, schedulers and journalists this Christmas across the UK. 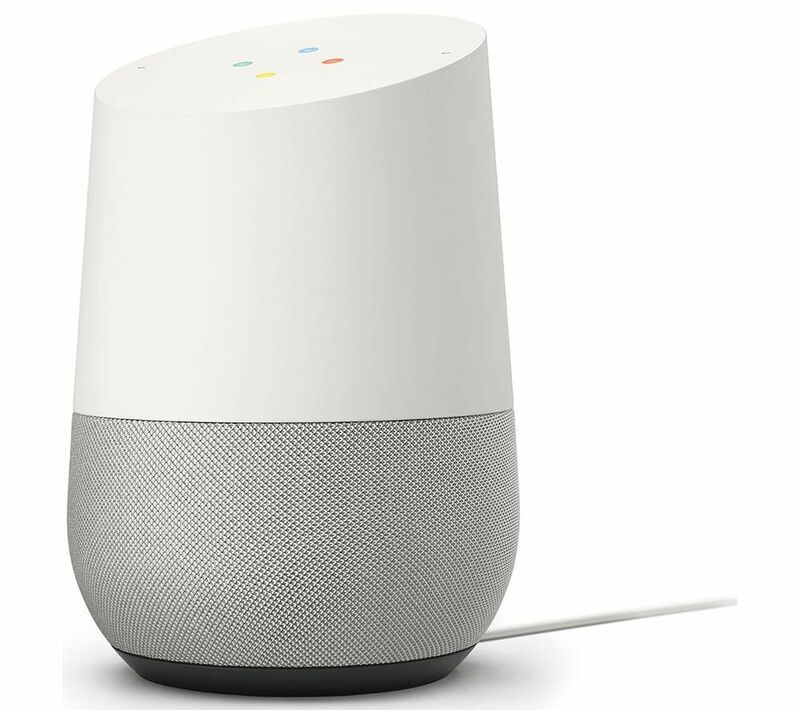 News Content on Smart Speakers - an Opportunity - or a Threat to Radio - and Democracy? 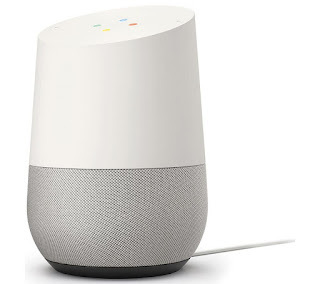 I just shouted a cheery good afternoon to my Google Home - only to be assailed by a 3-minute BBC news bulletin. Then Sky news barged in for their 2-minute version, then CNBC. And I only said 'good morning'. Alexa was in no mood to help on Amazon Echo, she just read out the day’s anniversaries coupled with an unfunny gag. I had to demand the news from her – and then she personally uttered a staccato 2-minute bulletin, with ‘continue reading’ prompts. Reading? I’m listening! Then, I was treated to the Sky news bulletin – and then the BBC news – followed by a Radio 4 podcast. Is this what smart listeners want? If we are not sufficiently inclined to turn to the news channel on TV or a rolling news radio station, are we not just seeking a quick injection of news to arm us? Have the new purveyors of news simply followed the norms of traditional radio? I’m not convinced it’s the answer. Is it really a ‘flash briefing’, as they claim, or radio news-lite? As I’ve argued before, I’m not awfully certain that even bulletins on radio proper would often sound as they do were they invented today. In essence, they are still the original 1922 Arthur Burrows newscast - but read in various durations, delivered in a less plummy accent spiced with a few clips and a Wisebuddah jingle. So, what of these smart news updates. They have a place for sure - and increasingly so as voice-activation in cars leaps forward. The Reuters Institute for the Study of Journalism, however, confirms suspicions on their effectiveness. It suggests briefings are too long, not updated frequently enough, too repetitive; and not listener-focused. They are certainly not valued. UK research from One Poll (for ‘Code Computer love’, sample 1000, June 2018 ) suggested that over half of requests are for ‘news and weather’) and in the US, Adobe concludes that 46% are for news (Sept 2018). Do we still want a bulletin at all Do we really want a shopping list of stories, most of which I may not be interested in? If we do want a ‘bulletin’, maybe it should be very brief. Sufficient to make sure I am up to date, and able to go elsewhere for detail should I wish. That’s how smart speakers treat weather forecasts. Conversational too, without the familiar rhythm of the usual radio newscast. It’s odd that there is still miraculously exactly three minutes of news in the World – or two minutes if you're in Sky’s world. In the absence of broadcast schedules and windows, maybe the news can now be as long or as short as it needs to be. We are told that bulletins will be able to be thoroughly personalised to our tastes and interests. Well, I do hope that it’s more useful than my Amazon ‘more like this’ list. Do many people really use the personalisation features which several news sites have devised over the years, or do we prefer someone to do the choosing for us? Google’s developing an open audio news standard, automatically generating a playlist of stories based on your interests using the same technology behind the AI on Google News itself. Journalists in newsrooms assembling their bulletins have always used their manual human algorithm for story selection, and maybe we will continue to prefer to delegate the task to our chosen news provider. In which case, winning that ‘trusted and best-known brand’ status is the war in news which will be won and lost (and that is the case with all content selected by voice - notwithstanding platform deals). As for demographics and interest, ‘Radio 1 news’ would likely suit a Radio 1 listener. Will trusted familiar news ‘personalities’, independent of any broadcasters, start to rule the roost? ‘Tell me the news, Howard Hughes’. By contrast, if my news is from Google, to what extent do I know the provenance of each story it has seized? In a world where anyone can deliver all manner of dubious content, might there usefully be a ‘kite mark’ to state that a news provider is following what was the broadcast Code? Around a quarter in the UK (23%) and nearly one in ten in the US (7%) could not remember the brand that produced their daily news update (Reuters/Uni of Oxford). The BBC sonic logo is canny (but should it be more distinctive and pan-media?). And now, a chance for Global news to become just that. As we have witnessed in social media, if we choose our own mix, algorithmically or personally, there is a danger we surround ourselves with stories about the like-minded, if all the stories we hear are like the ones we’ve already shown an interest in. However, having the centre of gravity of your news source adjusted to ‘near me’ carries value. At present, on smart briefings generally, my weather is local, my news isn’t. And that would allow, at last, a series of sensible decisions on localities and regions, unencumbered by the puzzling made-up regions from today’s broadcasters. Maybe the stories should be available by generic name. Do we just want to say ‘news - Salisbury poison’ for the single story I’m interested in? Witness here in the brief video, we've not yet mastered that. Maybe a different complementary platform may be utilised too. The ability to request by voice from a flash briefing, say, an automatic email with a lengthy read on a key story. I know I’m not alone in choosing a podcast on the basis of content first, and duration second. Just long enough to accompany what I’m doing. Maybe we just want to have a preference on bulletin length. Google says it’s working on a 15’ piece, with short stories first, moving then to longer length. You can skip stories too, but I’m unsure whether listeners want to go to that effort. It almost defeats the object of this ‘convenience meal’. The latest word is that artificial voices will be able to deliver the bulletins, and progress is so swift, I can see a day when this will be commonplace. Indeed, Alexa is about to start reading Emails to US consumers. Amazon is using “neural text-to-speech” technology or NTTS - the next generation of speech synthesis. This generates truly expressive voices more quickly, based on the rhythm and style of real newsreaders, rather than just stitching words together. Let’s hope they chose the right influences - and not one of those puzzling folk hammering out and hanging onto the last word of every SENTEEEENCCCCCE. It’s a fascinating world and one which will be, as ever, listener-driven. I am not of the view that video will rule this domain, it will forever be ‘radio’s’ territory. Whether it will be the province of existing radio players is another question. Smart speakers currently enjoy just a 3% share of all audio currently (Rajar Midas Autumn 2018), so there is some time to get this right. We need to establish afresh what smart listeners might want and what can be delivered. Start with them - not with the radio norms. Newsrooms will change their working methods utterly. I suspect the style may fore-shadow change in radio bulletin delivery too. Maybe we can decide when we want to interrupt our listening to Smooth with a brief update from the Smooth newsroom. Thanks to brilliant brains, the technology is the ‘simplest’ matter. The biggest challenge will be to ensure that - whatever the delivery format - the trusted news voices remain easily and universally recognised and consumed, and the journalistic foundation be sufficiently well-funded. Those issues are fundamental to our democracy. Follow @TweeterStewart for good stuff on all this - and @JamesCridland's @PodNews newsletter is worth subscribing to too. Here's a Christmas gift for a radio-loving friend. 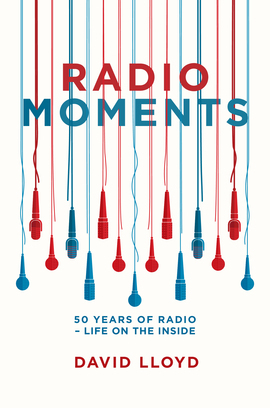 My book Radio Moments tells of the last fifty years of radio - from the inside. A very personal account of growing up with radio, before becoming a tetchy jock and then a hassled MD and programmer. The laughter and tears of an unrepeatable era.